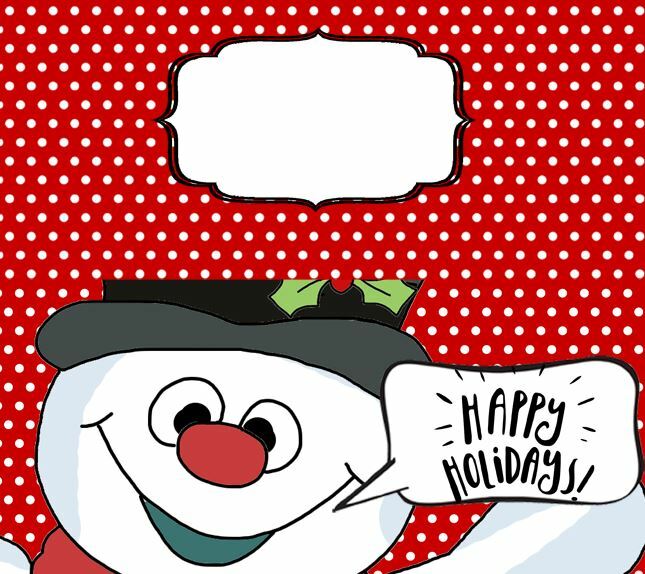 This bag topper snowman resembles Frosty declaring Happy Holidays. Way cute snowman on a red background. Use the treat toppers for baked goods or candy.